The bookmaker always wins, even when they complain about a big loss, they're still winning overall and they're simply using the loss as a PR exercise. The bookmaker wins because they set the odds, so they can build in a margin for themselves. This margin is known as the overround, and being able to calculate it can be a very useful tool. 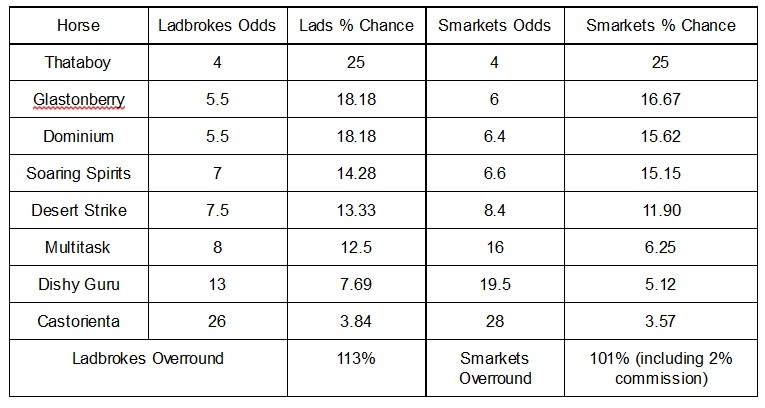 The overround isn't shown by the bookmakers, it's their dirty little secret, because if the regular punter could calculate it for themselves, they might go elsewhere, such as to a betting exchange. 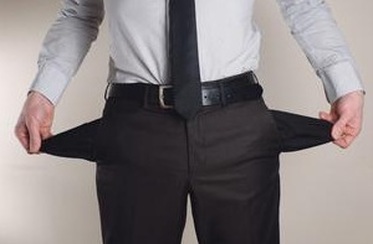 After all, you never meet a poor bookmaker. An overround is the bookmakers way of building a profit into the odds they are offering on an event. The difference between the true odds and the odds they offer is where they make their money. Well that and saps who bet based on team colours, silks and accumulators of course. If you’re not too sure what true odds means then consider the toss of a fair coin. The chance of the coin landing on heads or tails is 50/50 (presuming you don’t factor in the 1 in 6000 chance of a coin landing on it’s side) That translates to evens, 1/1 or 2.0 in bookmaker odds. If you win you get your stake and the same back, lose and you’re not seeing your stake again. But no bookmaker is going to offer you evens on the flip of a coin, because there’s no margin in it for them and they’d essentially be gambling against the punter. That’s where the overround comes in, as the party that are offering the odds they can control the margin that’s built in. Take a hypothetical five horse race, where all of the runners have the same chance or odds of winning. Each horse is priced at 5.0 (4/1 for those that prefer fractional odds), which converts into an implied 20% chance of each horse winning the race (100 divided by the odds on each horse). A bookmaker taking a £1 bet on each of these horses would break even. That the percentage chance of each horse winning adds up to 100% means they have created a round book. This type of pricing is useless as a profit making enterprise unless you take a lot more money on the losers than the winners, and then the bookmaker is essentially gambling himself and opening himself up to risk, not to mention their expected return being negative. Of course you never see a book like this offered, there are always favourites and outsiders, so what happens when we reduce the odds on one or more of the runners in our race? Let’s say two of the horses are looking to be stronger favourites and their odds are 3.0 and 4.0 respectively. The overround is now 118%, that means for every £118 the bookmaker receives in bets, they are expecting to payout only £100. Not bad, considering the bookmaker may be doing this across multiple markets on each event, and across dozens of events every day. Betting exchanges often have better odds on the individual runners, and that can then be extrapolated to the overround they’re operating with. In essence the exchange is getting closer to the true odds (led by the wisdom of crowds after the initial pricing is completed by the market makers and traders). As an example, here are some odds from a horse race 7 April 2015 (the 16:10 from Lingfield to be specific). There’s nothing special about the race, it was selected at random, but let’s compare the odds available at Ladbrokes and the betting exchange Smarkets. We could repeat this across any race on any given day and the results would, broadly speaking, be the same. In the vast majority of instances the betting exchange will be offering better prices on individual horses, and a lower overround overall. In general a bookmaker will be working to an overround of 110% - 130%. There are special occasions, however, when the bookmaker really goes to town, and the Grand National is one such event. In the run up to the one event a year when everyone has a bet the overrounds on the Ante Post market are floating around 180% compared to 118% at betting exchanges. Sure there are non runner no bets to deal with, but check back when the final declaration is made, or check the starting prices, and it still won’t make for pretty reading. What then, you may be saying, of the proud bookmaker boast of Best Odds Guaranteed? Honestly it’s not really worth the paper it’s printed on. You might think you’ve done well if you back at certain odds, and then the horse goes off at longer odds and wins and you’re paid at the starting price, but really you’ve been done twice. The odds you got when you initially placed your bet were rubbish, the improved starting price odds were better, but still rubbish. The chances of the starting prices in a race having a lower overround at a bookmaker than a betting exchange are approaching 0. One final nod before we sign off this article, find a book which is priced at under 100% (don’t forget to add in your commission rate as we have in the example above) and you can Dutch the market. Dutching means betting (with varying stakes) on each of the participants to guarantee a profit regardless of the result. Dutching is just one way skill in your advantage play tool kit, realising that the bookmakers have been taking you to the cleaners with their poor odds all these years, that’s the first and most important piece of information we can give you. Ready to ditch the poor odds from bookmakers? Sign up to Smarkets now, lowest industry commission, risk free sign up bet, and the best odds as well.